With an impeccable track record and reputation, Provantage Media Group has grown exponentially since its establishment in 2003, to become one of South Africa’s foremost Out of Home Media specialist companies.Thought leadership and tireless exploration of consumer insights ensures a service offering that delivers relevant and effective marketing and advertising solutions within the Out of Home environment. Through continued and extensive investment in human resources, product offering and research, Provantage Media Group continues to bolster its prominence and leadership within the industry. operating in 15 countries, and offers diversified products, services and integrated solutions including: brand activation, transit media, billboards, street furniture, golf course media and airport advertising. Backed by a solid infrastructure in the SADC region, Provantage Media Group provides a comprehensive service offering for clients in South Africa and Africa. Whether for awareness, calls-to-action or impact, our portfolio of Out of Home solutions will deliver quantifiable and measurable results. And that’s a contract we confidently enter into with all our partners. The company is Black-owned, B-BBEE level 1 and empowered and through the Provantage Training Academy is an active and committed contributor to the upliftment of the industry. What is considered cutting-edge today, becomes the conventional of tomorrow. As industry leaders we strive to constantly develop new methods, ideas and products to fulfil the media industry and the consumer’s insatiable desire. A desire for solutions that rise above the clutter. As technology evolves and media consumption habits change, we are committed to remaining on the cusp of developments as a means of delivering industry leading solutions. We are extremely aware of the valuable results achieved when common interests are pursued by all. We understand that most brands have time sensitive defined objectives. So we tap into the vast experience of our staff complement to create avenues for success, and entrench ourselves in the detail in order to achieve these objectives with you, within a sustained and consistent process. We believe respect goes a long way. The consumer and our clients should not be seen as a test case for irresponsible messaging. Brands deserve and are entitled to effective and measurable return on investment. Our mission is to always operate according to honourable business practices and employing staff for whom trustworthiness is as important to them as it is to us. The overwhelming availability of data is a mixed blessing in this digital age. In our world, analytics and measurability have brought with them dependable and invaluable assessments of the work we do – what worked exceptionally well, and also what unexpectedly failed. It is our belief that adaptation to change plays a key role in accountability. Jacques started Provantage in 2003 and has been instrumental in building a business that today sees it ranked as one of the biggest Out of Home media owners in South Africa. From humble beginnings, the business now boasts a national infrastructure and provides advertisers with a wide range of media platforms and services. Mzi is arguably the best Airport Advertising Executive in Africa. Joining Provantage in 2012, Mzi was instrumental in launching the Airport Ads division, and has grown it into the largest Airport Advertising Media Owner in South Africa. Mzi was appointed Deputy CEO of Provantage Media Group in 2016. Vaughan is a highly respected marketer with over twenty years’ experience in the marketing industry. Vaughan cut his teeth in the FMCG arena prior to being appointed to the Provantage Board of Directors in 2004. With a specialisation in strategic marketing, he played a key role in developing the Activations Division within the business. Johan was appointed CFO in 2016 after having joined Provantage in 2012 as Group Financial and Commercial Director. A registered Chartered Accountant, Johan spent a number of years practicing in Ireland and Eastern Europe prior to returning to South Africa. A successful career in the pharmaceutical sector ensued, prior to him joining Provantage. Since starting at Provantage Media Group in 2009, Naidu has assisted the company in making significant strides in the outdoor space. He was an integral member of the original Airport Ads® division and has full responsibility for managing and leading the Transit Ads™ business in his role as executive. Provantage Media Group is committed to the support, upliftment and development of sectors of society which require assistance that otherwise would not be forthcoming. We believe in sustained and consistent assistance, as a means of ensuring that well-intentioned actions deliver results for those in need. We have a firm belief in, and reliance upon, the youth of our country becoming the leaders of tomorrow. There are many in society that feel a sense of hopelessness, vulnerability, and rejection. Through our commitment to upliftment, our mission is to provide not only hope, but care and the belief in a brighter future. More often than not, it is extremely difficult for non-profit and charitable organisations to fulfil the social and moral obligations of the broader society or state institutions. The tireless and incredible work they perform is selfless and difficult. It is these organisations, those that address youth issues that we support. It is an honour for Provantage Media Group to assist these organisations with a view to help making the lives of disadvantaged children in South Africa better. With the support of our staff, we aim to make a difference in the lives of disadvantaged youths, and that through our actions, we make our contribution to being a part of our broader society and community. Founded in in 2015 by ProActive™, the PMG Training Academy is proud to offer intensive learnership programmes accredited by the Services SETA. Graduates who complete the programmes successfully receive an NQF Level 4 FET Certificate. The Academy was founded with the intention to increase the skills level and broaden the talent pool of human resources within the out-of-home and activations industry. In 2015, it ran its inaugural course in Marketing, which provided graduates with the skills and expertise required to pursue a career in the media, sales, marketing and communications fields. 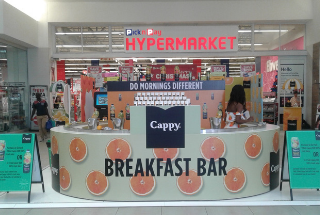 The Academy accommodated 650 learners, offering them the opportunity to obtain accreditation while being employed as brand ambassadors with PMG. Skills that are both industry-specific as well as marketing, business and project management specific ensure that graduates are equipped with the relevant as well as the necessary skills for the world of work. ProActive™ runs and manages the training and the work experience to ensure that dedicated, competent graduates contribute to industry excellence in South Africa, thus benefitting brands, clients and the marketing industry as a whole. In 2017, The PMG Training Academy is broadening its offering to include Business Administration and Project Management to further upskill individuals with a vested interest in this exciting, dynamic and evolving industry. With the support of the Services SETA, the Academy aims to offer more exciting learnerships into the future. Sam says the learnership helped her to overcome a tendency to give up in the face of a challenge. “I took every setback personally, but now I know better,” said the 28-year-old from Dobsonville. “I have my own part-time nail business and I now feel motivated to grow and market it with the goal of franchising one day. I would also love to open a spa in my area in Soweto. One-on-one talks with my lecturer helped me to overcome my weaknesses – poor time management, a lack of self-esteem. I am now working full-time at the PMG Academy as an assistant." Ipeleng Gcina, 35, from Daveyton is now able to provide for her family, after having been unemployed for some time. “I discovered that I love working with different people and finding out what different customers need. I have learnt so much about how to market products. I think the Academy realised I had potential because they have asked me to be a team leader. Bontle Xorile, 22, from Malvern, said she had not thought about marketing as a career until she enrolled in the learnership. “I was sitting at home without work, but I learnt so much at the Academy, like the importance of customer service, how to manage my time and why communication skills are so important. When I completed the learnership, ProActive™ asked me to be a part-time brand ambassador. I also work at head office from time to time, and help out on reception here at the Academy. Thobile Mpungose, 24, from Soweto, says she would not be where she is today without the learnership. “I tried volunteering and job hunting, without results, but the learnership opened doors for me,” she said. “I loved the marketing learnership and have since set up my own small events company. I have not had any success yet, but I know I should not give up – and one day I will have a story to tell and be as successful as the strong leaders at the Academy! My drive has paid off: I am now a junior campaign planner at PMG. This means I have a salary and I can buy my mother groceries. Established in 2012, Airport Ads® enables, through the airports – high traffic volumes, captive audiences, upper LSM consumers, high impact signage and digital solutions to advertisers. These benefits provide an ideal environment for brands seeking to attract targeted consumers within high dwell time zones in the airport environment.  ProActive™ is a leading brand activation agency in South Africa and across the African continent. With thirteen years of in- market experience, the agency offers creative solutions spanning concept development & strategy through to execution on a national and continental level.  As the largest Transit media owner in Southern Africa, Transit Ads™ confidently offers the ability to reach over 21.6 million commuters who make use of taxis, buses and rail transport every day. Golf Ads™ brings a high income, well-educated, discerning audience to advertisers. An audience that is captive, frequent and open to messaging.  Golf Ads™ holds media rights in 180 top golf courses across South Africa, offering advertisers strategically placed and seamlessly integrated media formats. 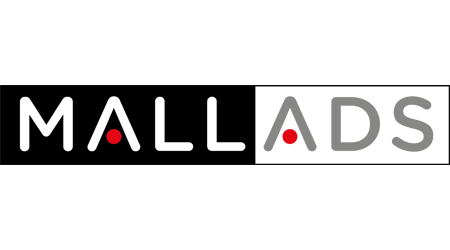 Mall Ads™ provides turnkey media and advertising solutions in the mall environment. Mall Ads™ has a unique approach to influencing shopping behaviour that drives brand conversion. As the newest unit to the group, Outdoor Network provides advertisers with both classical outdoor and street furniture advertising options. 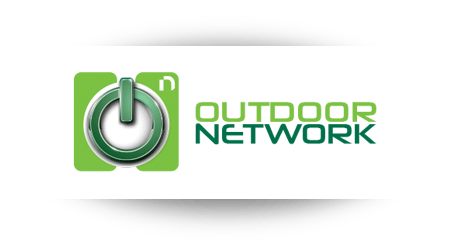 With a national footprint of large format billboards and street furniture spanning across South Africa, Outdoor Network delivers targeted and geographic specific solutions.